Looking to rent a mobile home lot? 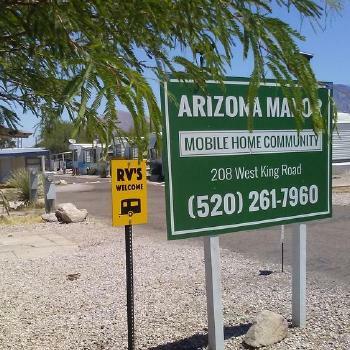 MHBay.com has 2 mobile home lots near Mesa. RV Lots available in Quiet and safe Adult Park. 30amp pedestal/on-site laundry/utilities paid/24/7 on-site Security Manager w/security cameras/LED Motion-sensor security lights on each lot. *Deposit waived w/3mo prepay.